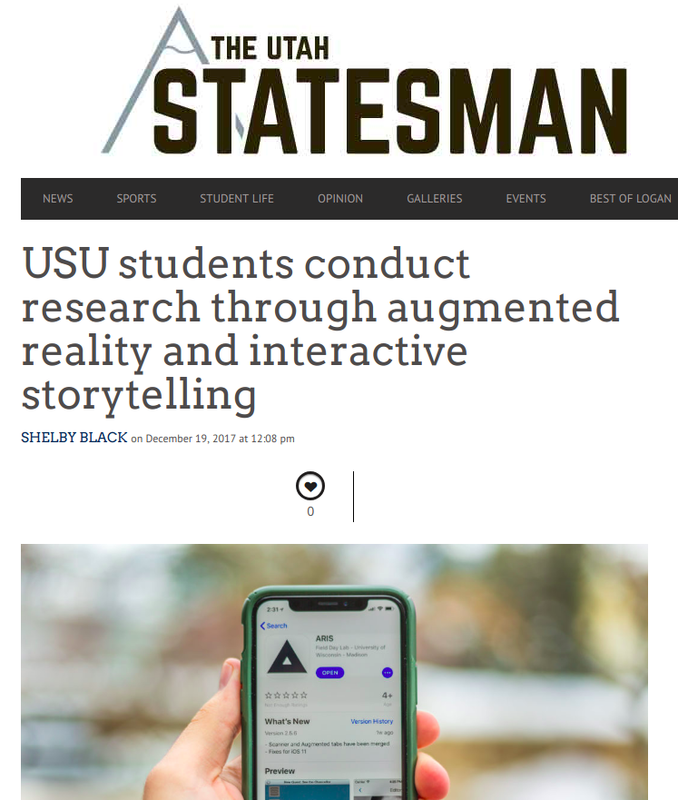 A Utah State University research study has been conducting workshops for children to examine how they learn through making. The kids participating in this research have the opportunity to play games and create through AR, or augmented reality. Researchers from the PEL and LED Lab attended the national 4-H Computer Science Pathway Training at Thanksgiving Point in Lehi, UT. They shared their expertise about and passion for computer science and programming with the community and 4-H youth and faculty from 10 different states. Several members of the L.E.D. Lab were recognized for their outstanding work during the 2017-18 school year by the Instructional Technology and Learning Sciences Department. Dr. Searle and Dr. Litts spent the first two weeks of June conducting a summer camp for fifty Native American youth in seventh and eighth grade. Students learned to use the Augmented Reality and Interactive Storytelling (ARIS) platform to make augmented reality games (think Pokemon Go). 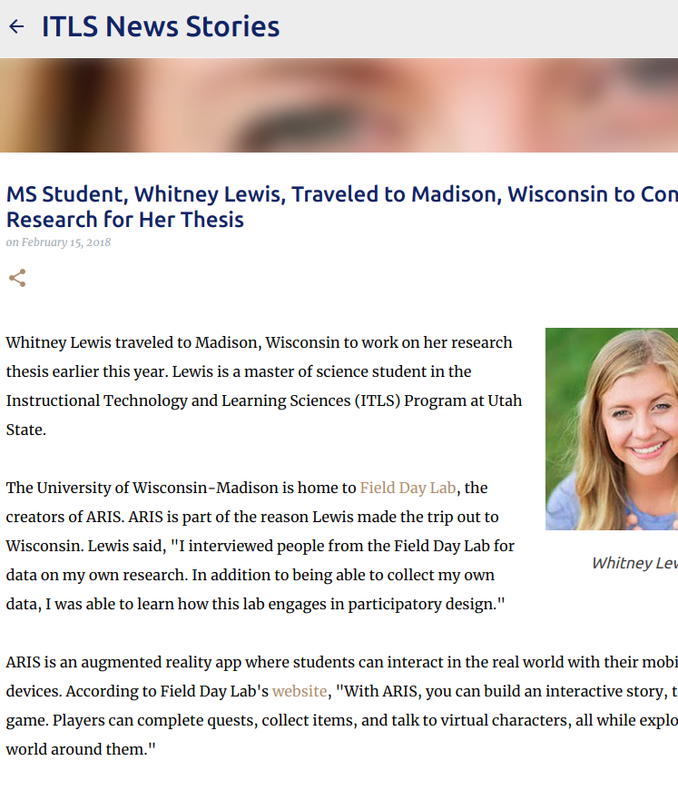 Whitney Lewis traveled to Madison, Wisconsin to work on her research thesis earlier this year. The University of Wisconsin-Madison is home to Field Day Lab, the creators of ARIS. ARIS is part of the reason Lewis made the trip out to Wisconsin.